Updating your screens is extremely simple. Login to www.MySignagePortal.com to upload media, manage playlists, create your own templates and schedule content for whenever you want; giving you complete control over your network. 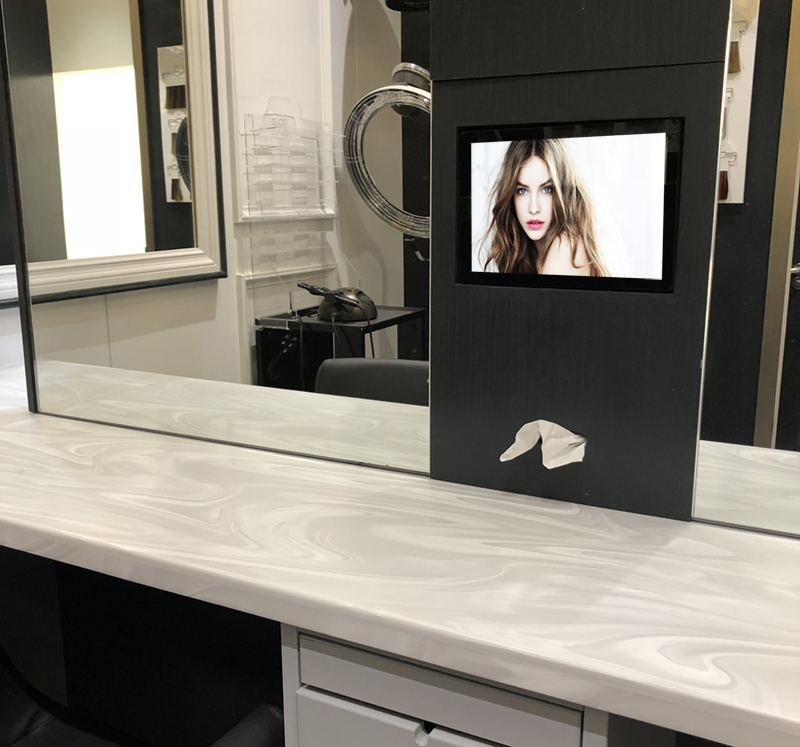 No special software installation or dedicated PC is required, you can update your screens from anywhere in the world with an internet connection. Your screen can either be powered using the power cable provided or by using an Ethernet cable. 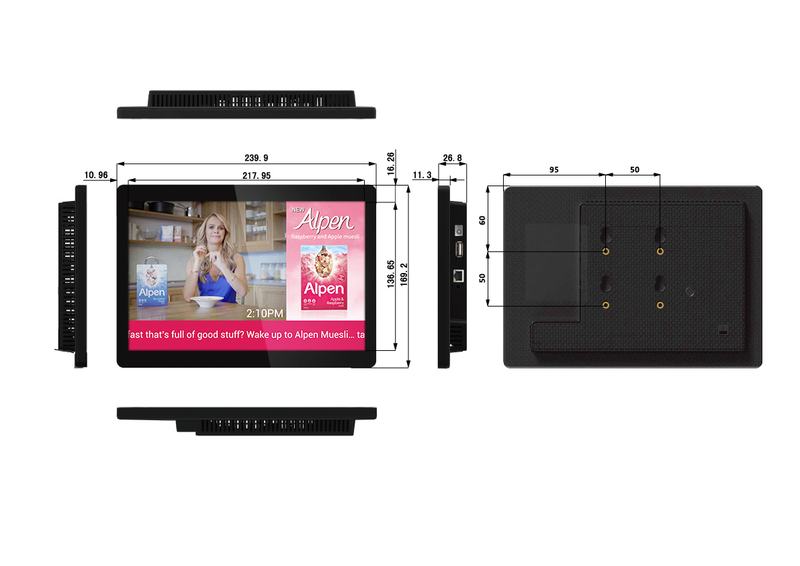 This makes the display extremely flexible, allowing you to supply power to the screen using the more convenient of the two methods. Create as many bespoke user accounts as you like. 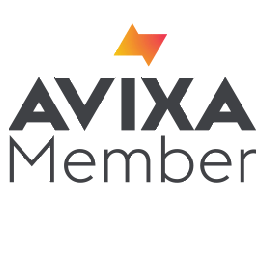 You may wish to limit some functions of the software to specific users, for example you may wish to allow a receptionist to edit the scrolling message on the screen in the reception area but nothing else - our system allows full user rights control. 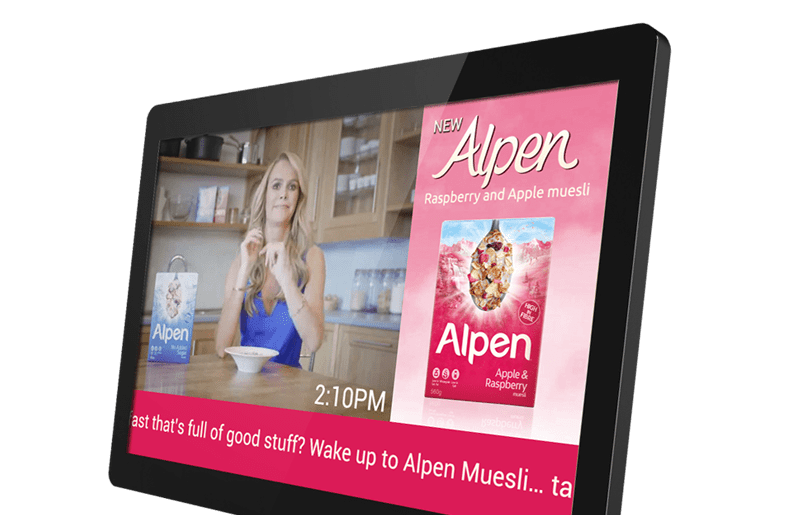 Thanks to the all-in-one nature of the screens you can remotely control functions such as rebooting or formatting your screen, playing and stopping content, adjusting the volume and scheduling on/off times; a truly centralised solution. 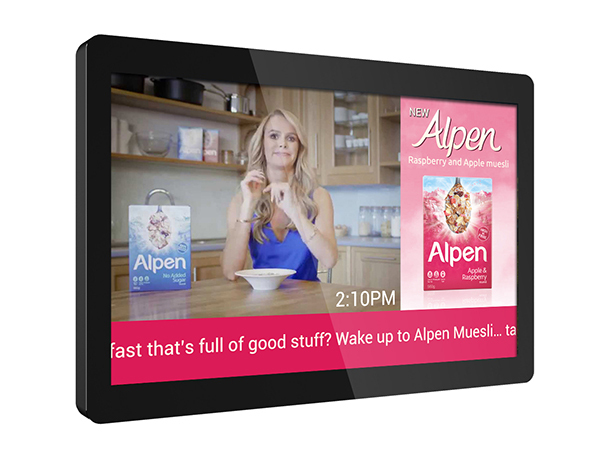 Built with commercial grade panel and components these displays are designed to run 24/7 in constant use; unlike domestic tablets which use internal batteries. The panel also has a lifespan of over 70,000 hours of continuous use. 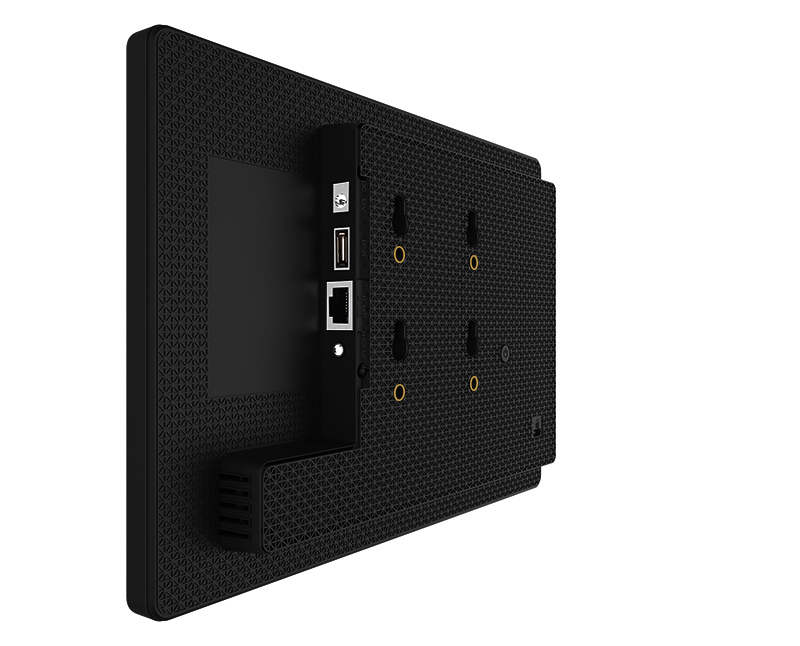 They can also be installed in landscape or portrait orientation. 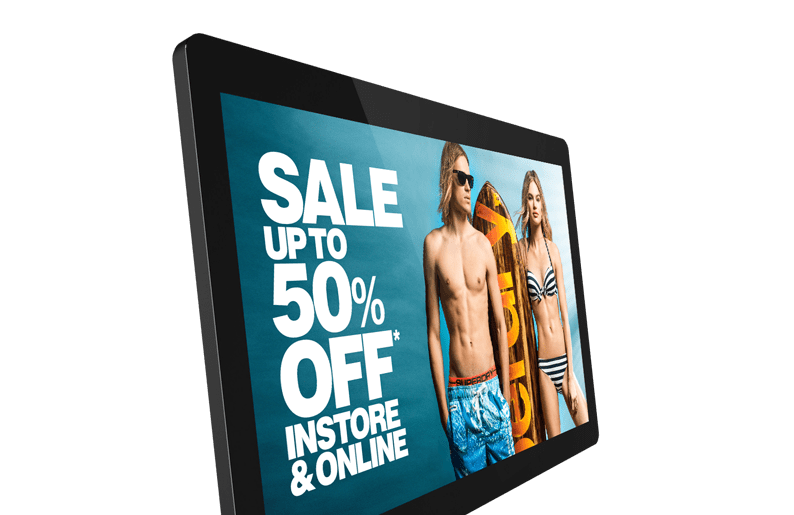 As well as having a buttonless tempered glass frontage and rounded corners these screens also have an enclosure made from a light-weight polymer so they are ideal for shelf edge and POS displays. They also have a screwless design to achieve a seamless aesthetic and avoid tampering. 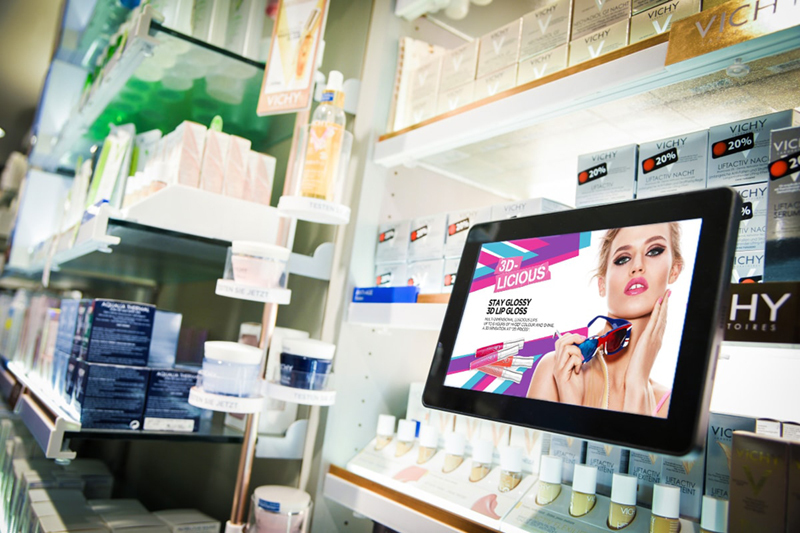 Unlike domestic tablets these displays have an integrated and secure screw based mounting solution on the rear. This makes mounting and installing easy for any application, whether you are mounting your screen to a wall or stand. 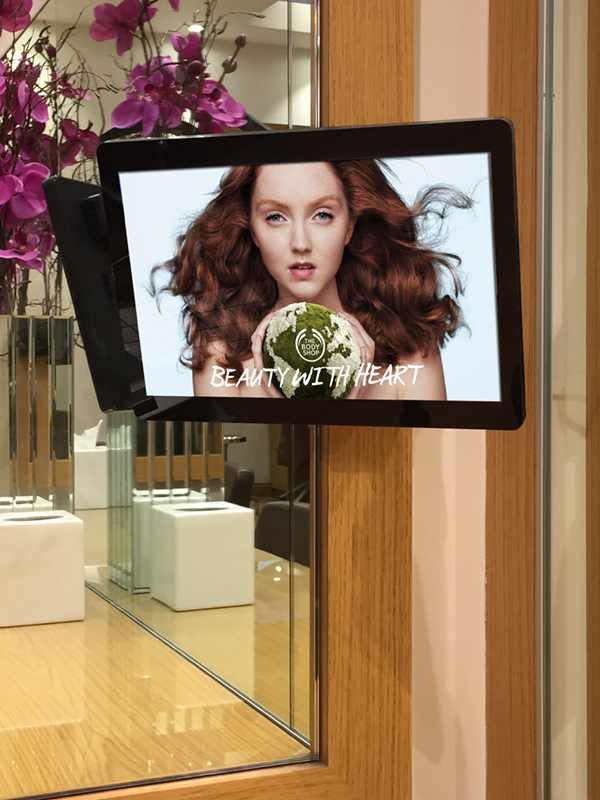 Unlike domestic tablets our 10” commercial screens do not have built-in batteries and therefore last considerably longer. 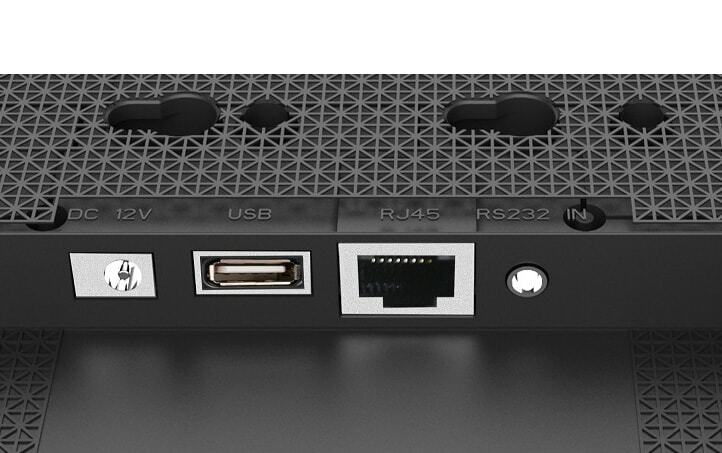 They are designed to be used constantly 24/7 in public spaces and can be powered directly from the mains or over PoE. 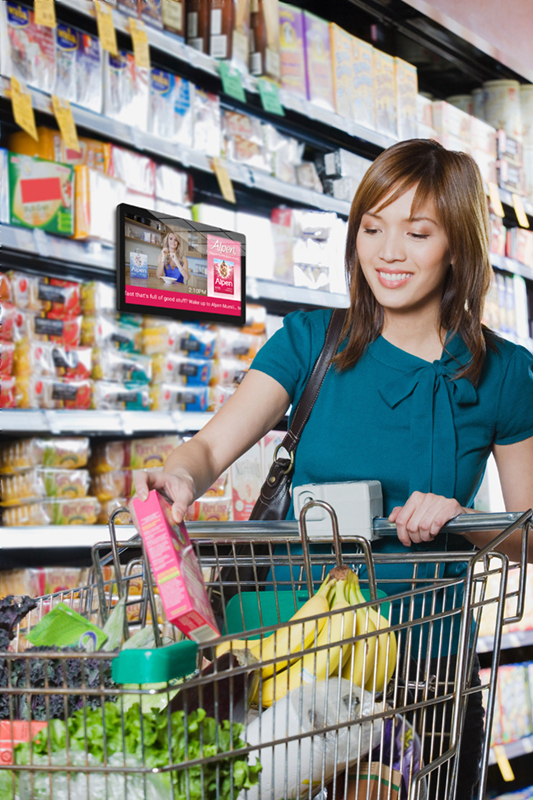 Send standard RS-232 controls from the screen to your device. 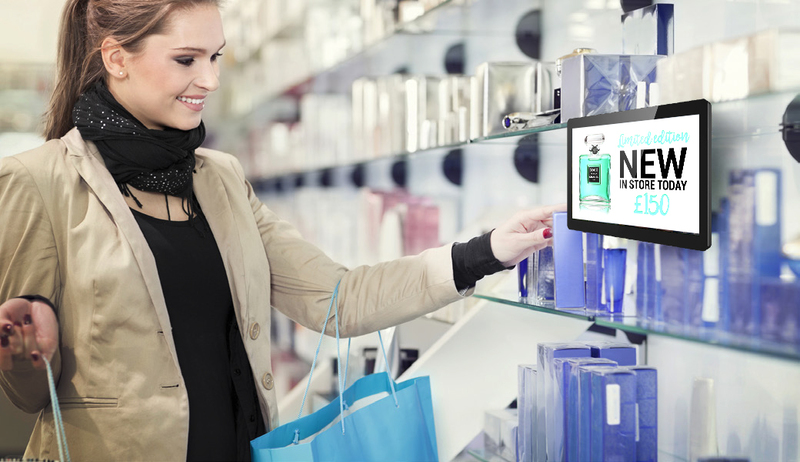 You can upgrade your display to be a PCAP touch screen to increase audience engagement, allowing customers can interact with the display. 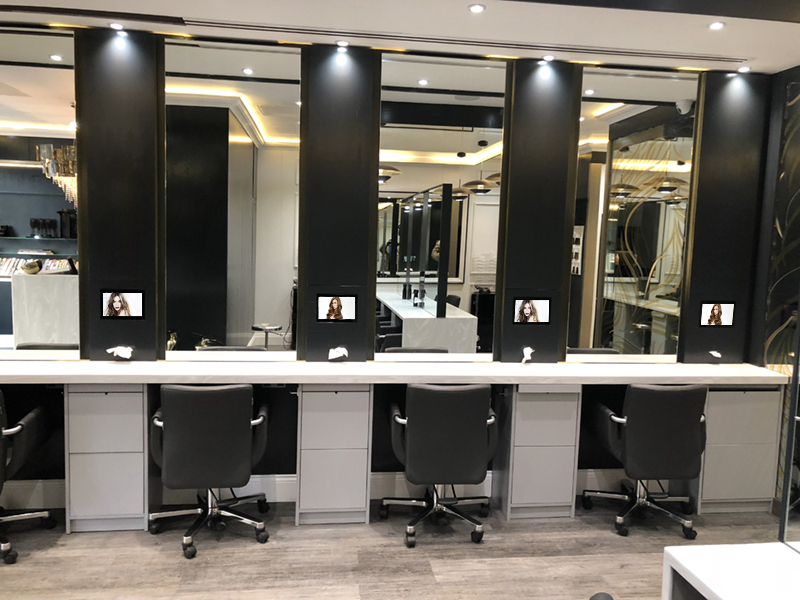 You can also upgrade the display from standalone to network so that you can update the content remotely from our online portal.